This week I fancied something small and not particularly challenging. 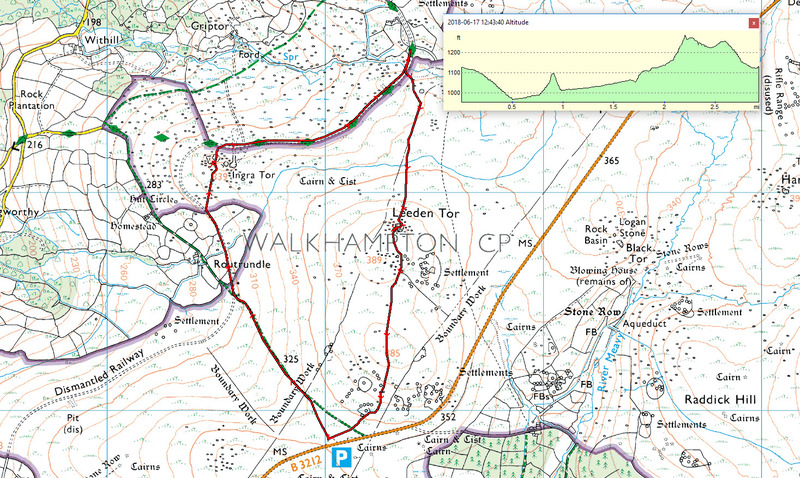 Looking at my ‘365’ map, I noticed that I was missing a couple of squares fairly close to home and planned on mopping those up. 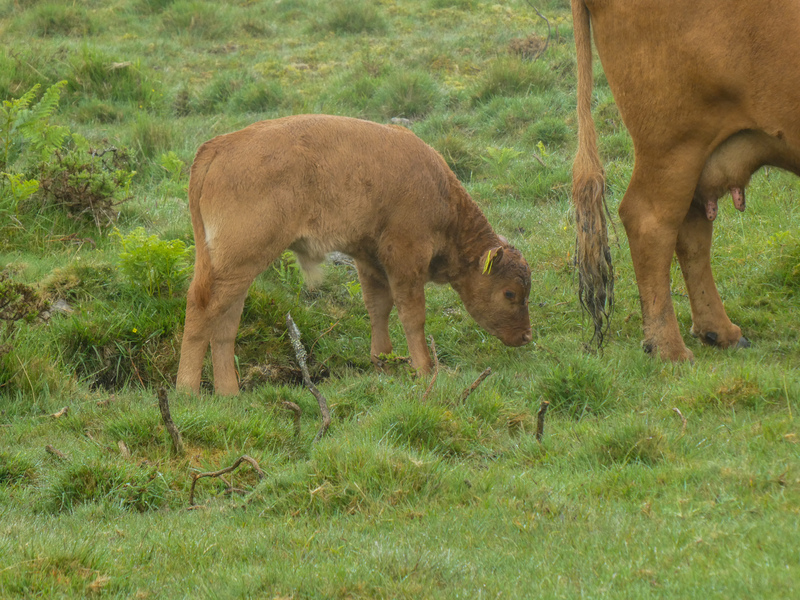 However when I woke up that morning…. the weather had other ideas…. it was going to be a wet walk! 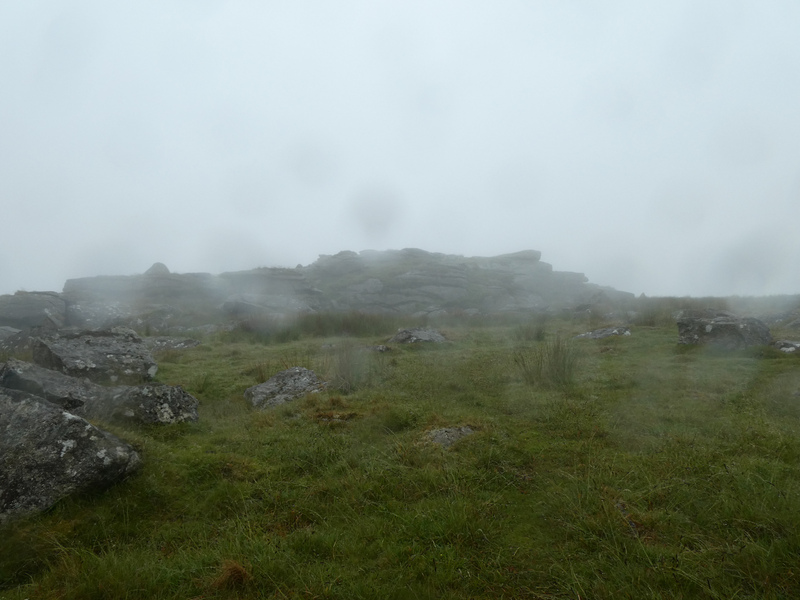 Now this is typical Dartmoor weather and happens a lot in the summer. 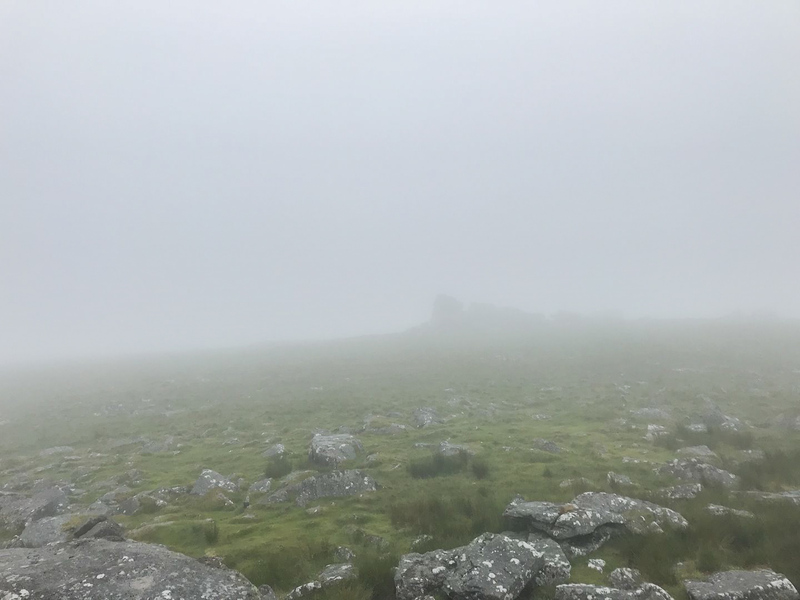 The warm ground and the humid air is the perfect combination to create the famous Dartmoor Mist; it can appear in seconds and disappear just as quickly and once you’re in it, it’s incredibly easy to become disorientated and lost. 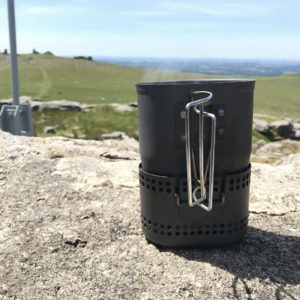 I carry a GPS these days which makes life easier in these conditions however I also still carry a map and compass because you just can’t rely on the GPS 100% and it’s better to be safe than sorry. I parked my car in a little car park just down the road (SX560708) from the one where I parked when I did Leather Tor. 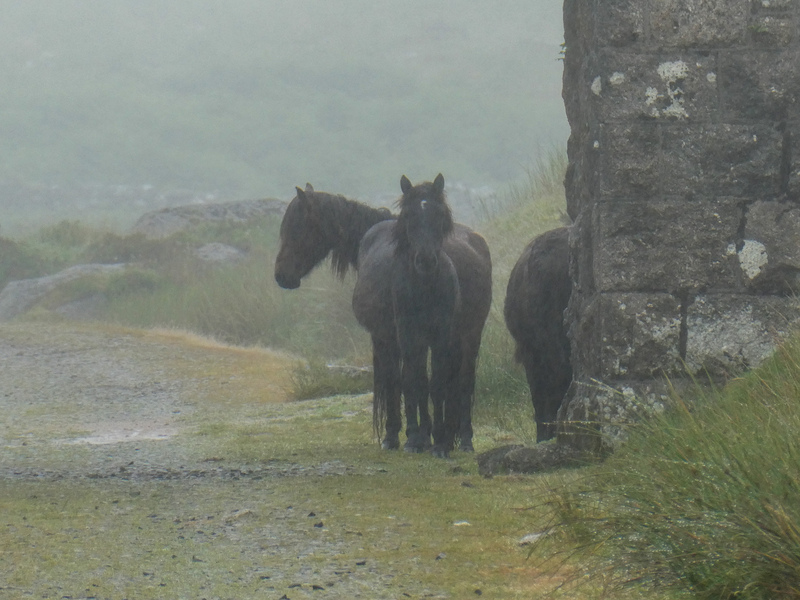 It was murky to say the least and I sat in the car for ten minutes or so waiting for a heavy shower to pass. 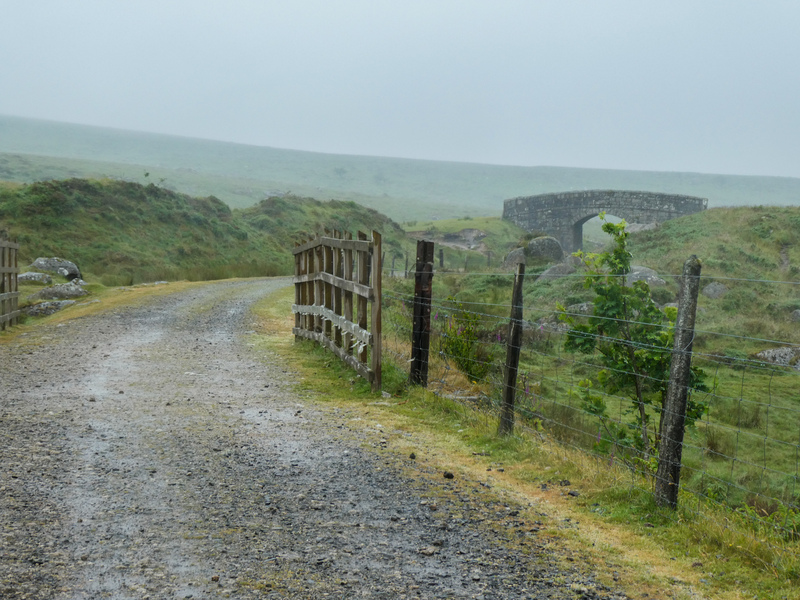 I set off along a well-beaten track that lead down to the old Yelverton to Princetown railway track and followed it north towards Ingra Tor. 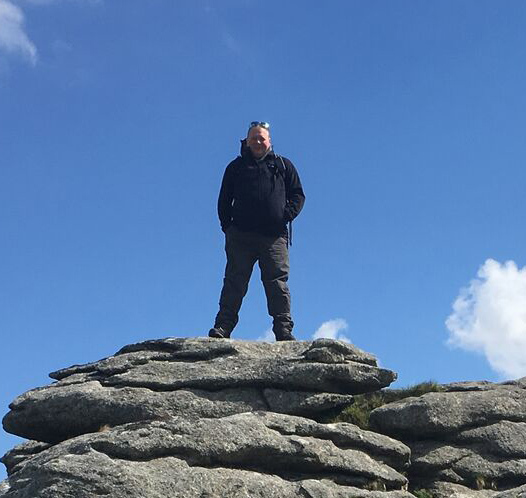 I split off and followed a track up toward the Tor and with a little scrambling, was sat on the top in no time. 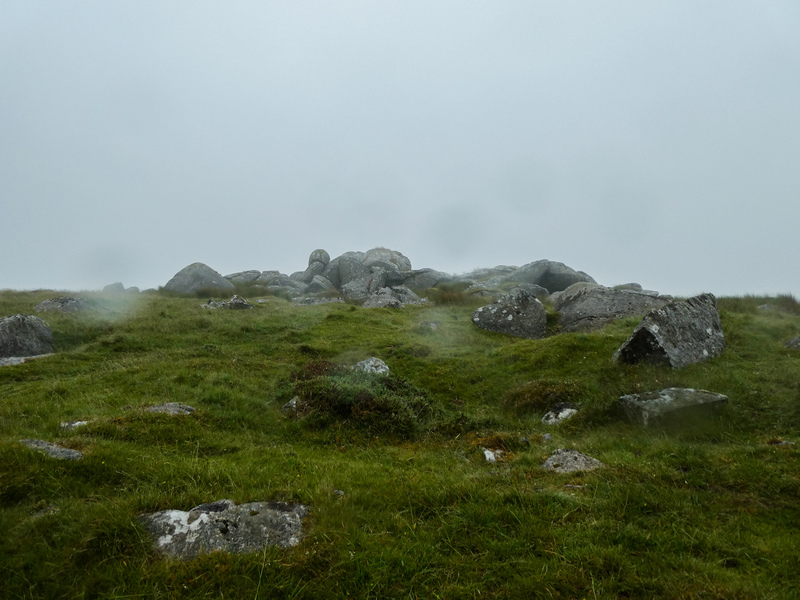 I was rewarded with a view of nothing but mist and by this point the rain has started up again too. 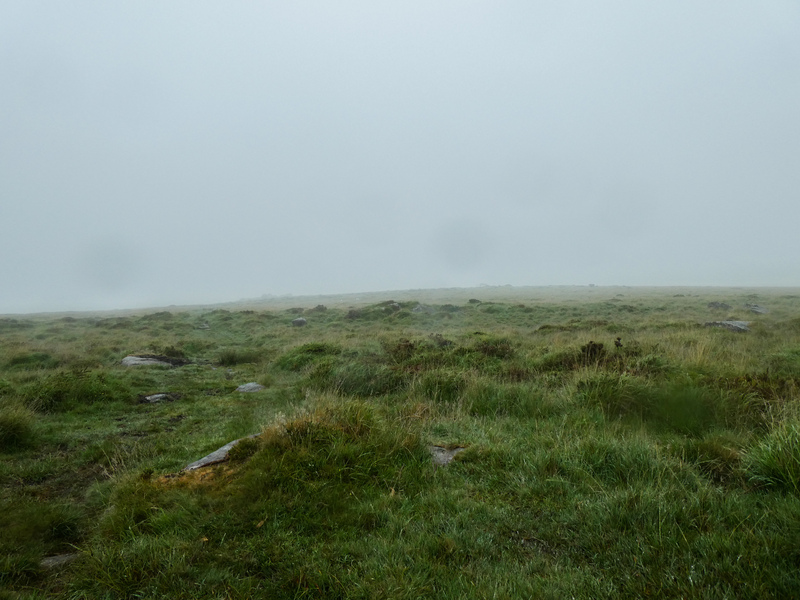 I have always quite liked walking in this weather on Dartmoor. 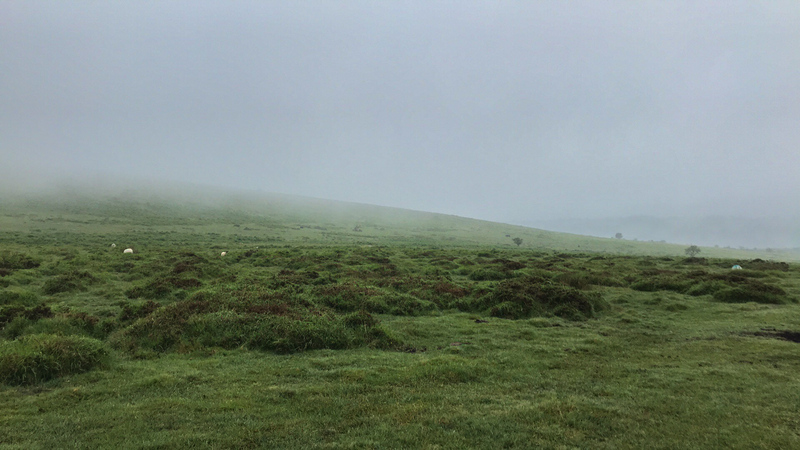 To me, this kind of weather defines Dartmoor more than any other and in many ways I feel that traversing the Moor in the mist and rain is Dartmoor walking at its purest. 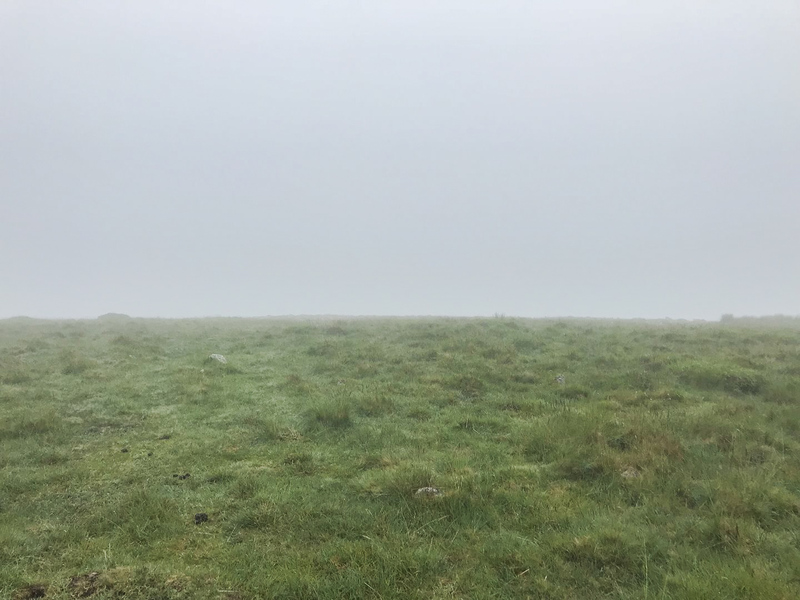 You don’t get the same sense of remoteness or views that you are rewarded with in fine weather however I always feel more connected to her in this weather. I didn’t stay long on the summit and almost immediately headed back down to the track-bed and followed it east until I saw the familiar rail bridge that still sits astride the track (SX 56280 72466). 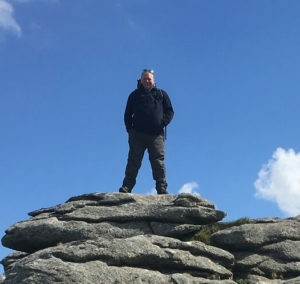 It’s a familiar landmark on this part of the Moor and also sits close to Yes Tor, not the mighty highest Tor on Dartmoor but the little pile of rocks that lay unnoticed and unvisited for the most part. 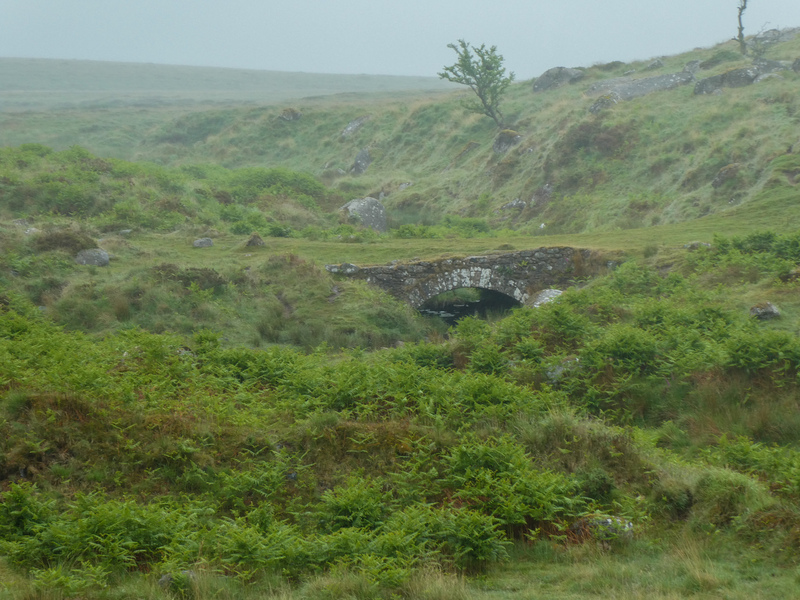 Also close by is a little old stone bridge which was built to route a track across a gully; these days it’s being slowly reclaimed by the Moor. 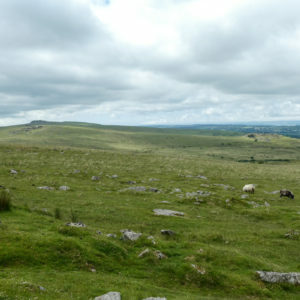 Turning back on myself I headed up the short slope to Fur Tor, another Tor with a larger sibling existing elsewhere on the moor. 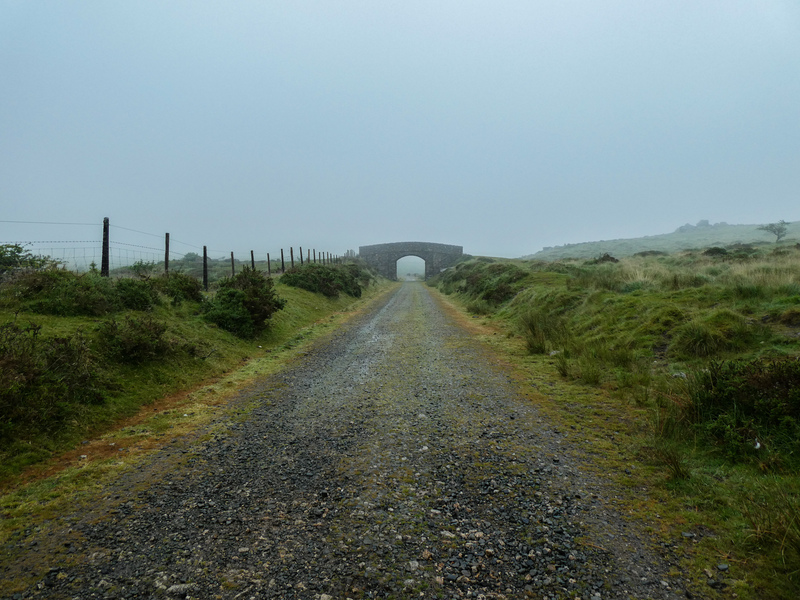 By this point the mist had really come in and I could hardly make out the railway bridge which was less than 30m from me and although I knew roughly which direction I was heading next I thought it best I consult my GPS. As I always do, I had my route stored on the GPS so I just loaded it and the screen pointed me in the right direction…. onwards and upwards. 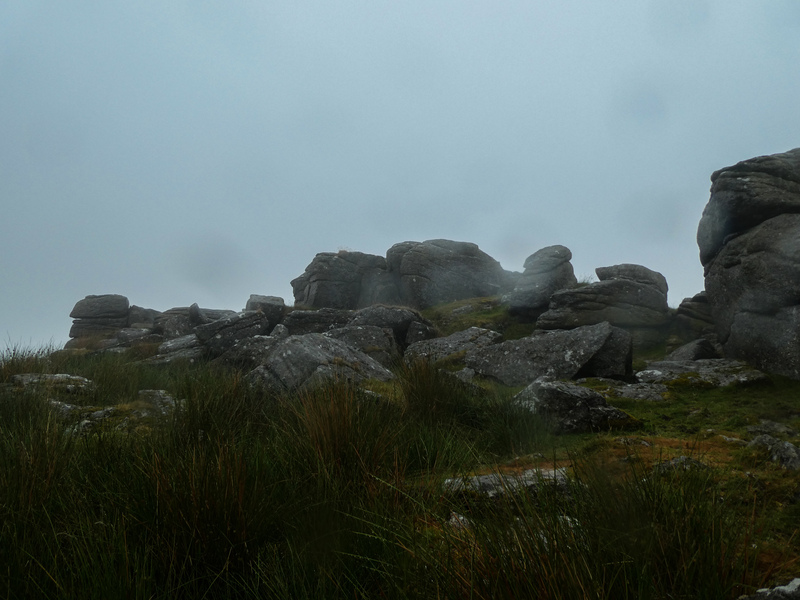 The rain was heavy and mist making life difficult by now as I headed in the direction of Leeden Tor. 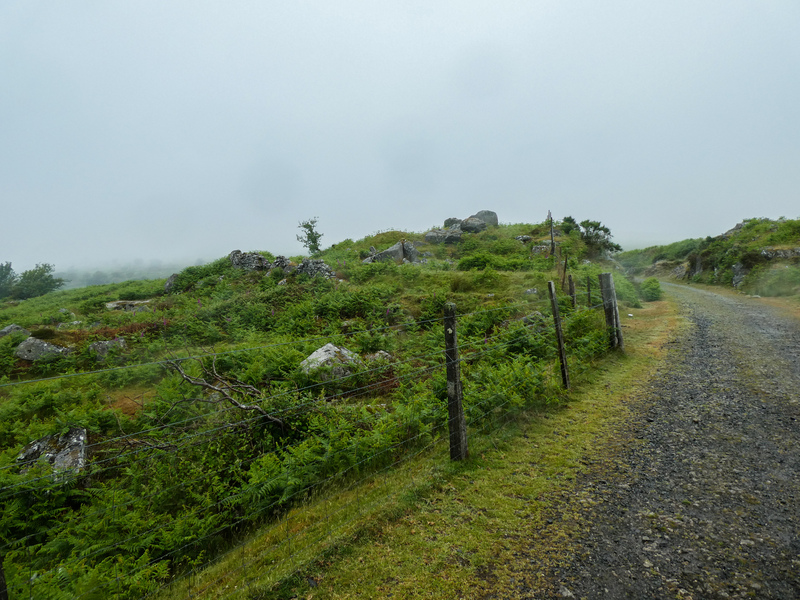 I was aware of the main Princetown road somewhere off to my left and I marched across the mist shrouded ground…. 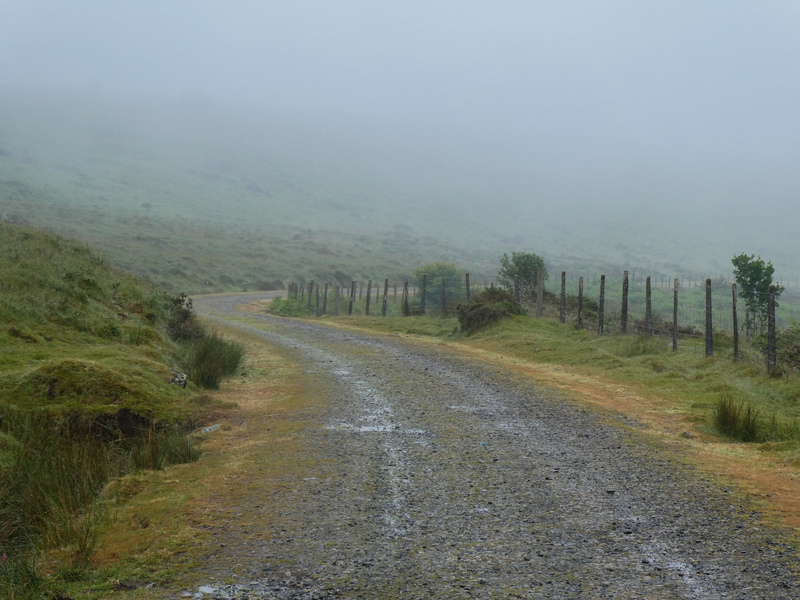 the mist tends to draw things in and the road sounded very close although it was a good 350m away. 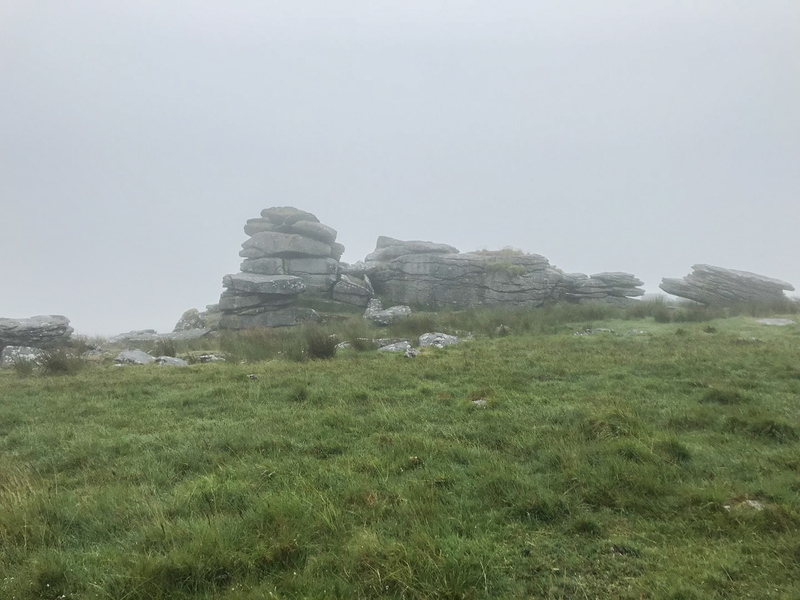 Leeden Tor actually comprises of three landmarks, a large rock stack to the north, smaller one about 150m SE (which is the recognised summit SX563716) and then Leedon Hill which lies 380m south. As I hit the top I didn’t stop and continued straight across to Leedon Hill using GPS to point me in the right direction. 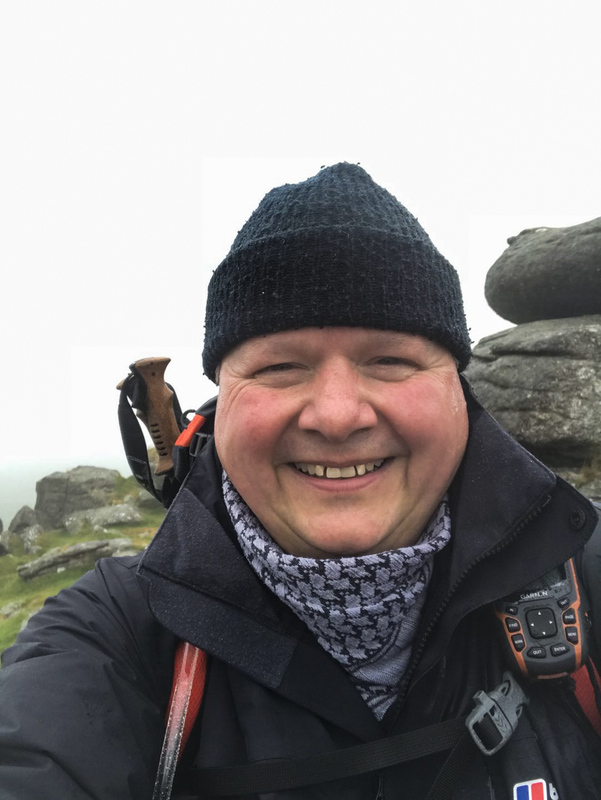 As I continued down the side of Leedon Hill and it felt like an age before the car park emerged out of the mist and before too long I was back to the car…. drenched but content.